Product prices and availability are accurate as of 2019-04-09 05:12:51 UTC and are subject to change. Any price and availability information displayed on http://www.amazon.com/ at the time of purchase will apply to the purchase of this product. EYELET OUTLET-Brads. 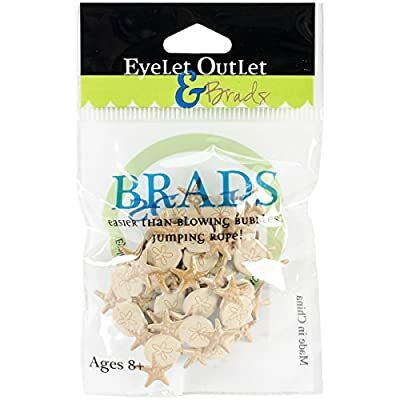 Eyelet Outlet offers fun and colorful brads in all kinds of shapes and themes... finding the perfect match for your project or design style is sure to be a breeze! Each package includes twelve brads. Exact size varies by design. Imported. sure to be 1 or 20 that strike your fancy! They range in size from 15mm to 25mm. Imported.